Dwell Residential founder, Jennifer Myers, was quoted in the November 2016 issue of Realty Trac’s Housing News Report. The Housing News Report is a monthly publication dedicated to helping investors succeed by providing them with timely and relevant information about the residential real estate market. 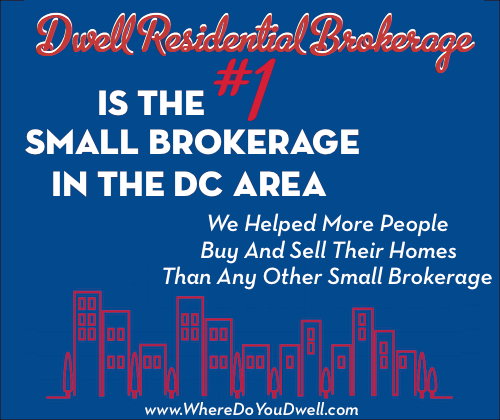 November’s article was about the changes DC is experiencing as it gentrifies and how that is changing the real estate market. “It’s a great neighborhood where you can get a lot more space for the price than other neighborhoods in Northeast D.C., yet still accessible to easy public transportation and neighborhood amenities like the new REI flagship, a new Whole Foods, the city’s newest restaurants and bars,” said Myers, referring to H Street NE, a retail corridor that in recent years has revitalization occurred and gentrification taken hold. It’s been 48 years since the assassination of Martin Luther King Jr. in 1968, and few areas were hit harder from the riots that ripped through Washington than the H Street Northeast corridor. The H Street corridor, which is a predominantly a black neighborhood, runs from the iconic Union Station on its western edge on 2nd Street NE to 13th Street NE on the east. Just north of Capital Hill, the arrival of newcomers and new housing to H Street has attracted artists, musicians and those looking for a strong local vibe. The Atlas Performing Arts Center, a movie house that closed after the riots, re-opened in 2006 and anchors the eastern end of the H Street corridor, while the Landmark Lofts at Senate Square bookmarks the west end of H Street NE. Myers said real estate prices along the 13 block stretch of H Street are going up fast, especially after the 2.4 mile H Street streetcar line opened in February. She said buyers are searching for areas that have various transportation options besides the Metro. “Trends that I’m seeing this year that weren’t happening last year — definitely different commutes,” said Myers. Find the full article on pages 20 & 21 HERE.